This display features five historical flags of our country as well as the flag of the United States. The set is indivdually boxed and includes a black plastic base that holds all six flags. 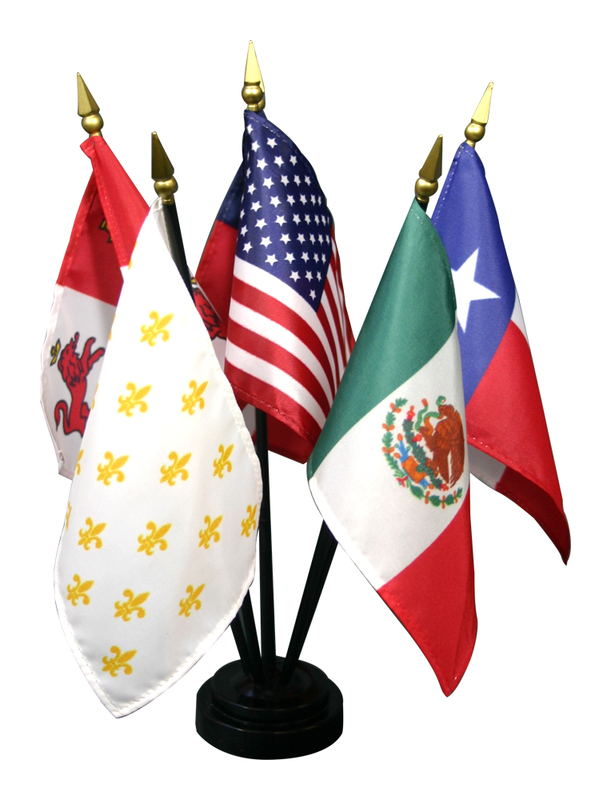 Flags included in set: France Fleur de Lis, Spain Castile and Leon, Mexico, Texas, Stars and Bars 1st Confederate, and USA.